This beautiful, traditional French song — “À LA CLAIRE FONTAINE” –has been a beloved children’s song for centuries. A soothing quiet down song or lullaby, the song is perfect for the end of the day. This original arrangement by French composer, Didier Prossaird, is from the Whistlefritz CD CARNAVAL. Song “À LA CLAIRE FONTAINE” from the Whistlefritz CD CARNAVAL. 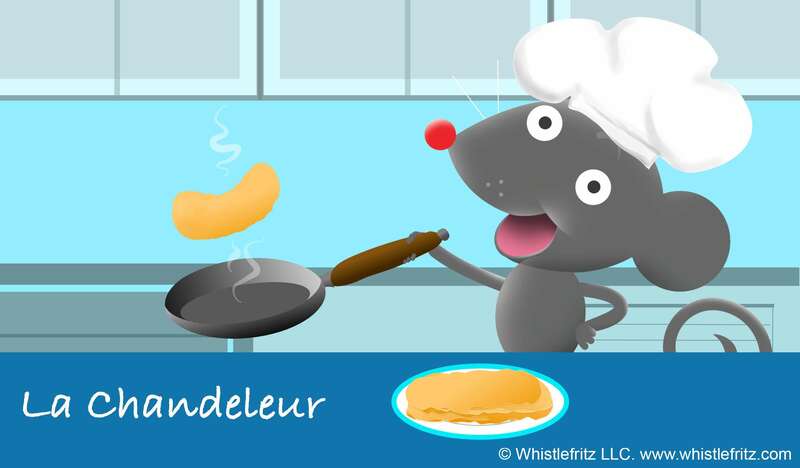 In this traditional French children’s song — “AH ! VOUS DIRAI-JE, MAMAN” — the child complains to his mother that Daddy wants him to reason like a grown-up, but he thinks reasoning is overrated and candy is better than reason! 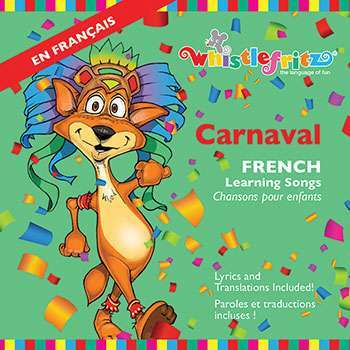 This original arrangement of the traditional French song is from the Whistlefritz CD CARNAVAL. Song “AH ! VOUS DIRAI-JE, MAMAN” from the Whistlefritz CD CARNAVAL. 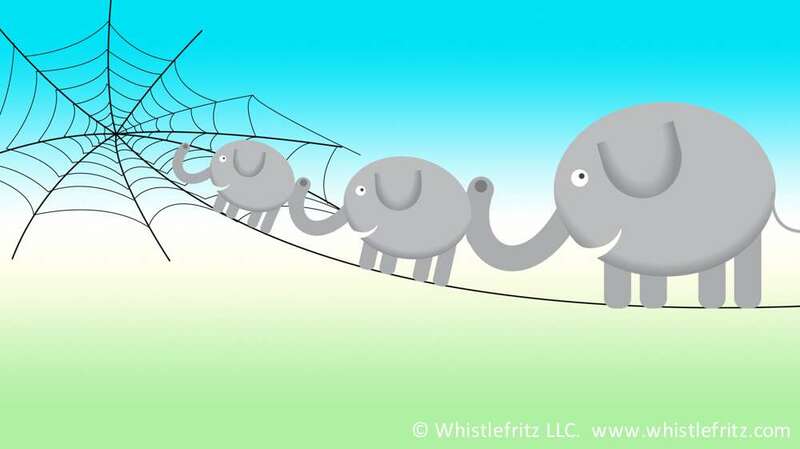 How many elephants can fit on a spider’s web? We’ll see! 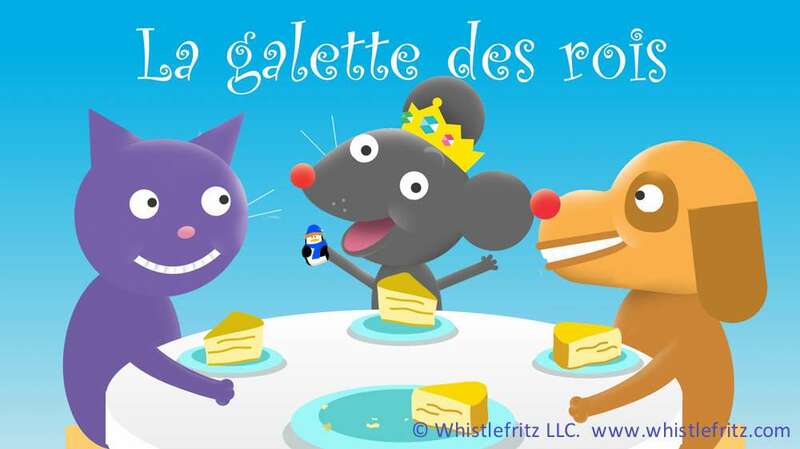 This fun, traditional French children’s song teaches children French numbers from 1 to 10. With each new verse, children add another elephant to the spider’s web and see if it will hold. 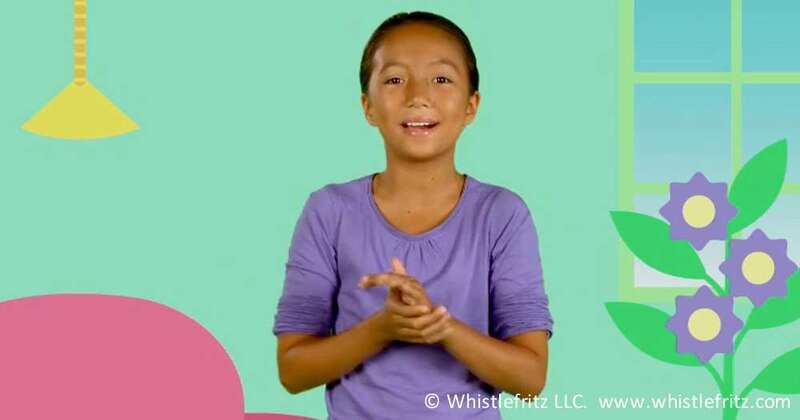 The song “LES ÉLÉPHANTS” is from the Whistlefritz CD CHA, CHA, CHA — French Learning Songs. Song “LES ÉLÉPHANTS” from the Whistlefritz CD CHA, CHA, CHA. Qu’il appela un deuxième éléphant. Qu’ils appelèrent un troisième éléphant. Que tout à coup … Badaboum ! 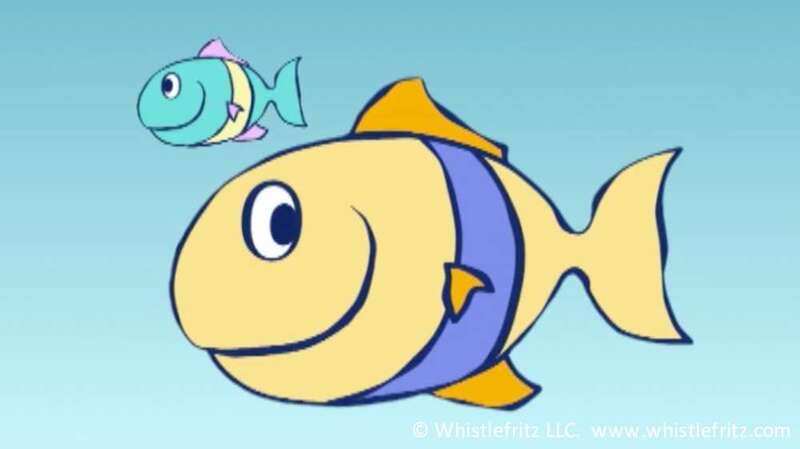 Song “LES PETITS POISSONS” from the Whistlefritz CD ALLONS DANSER! Nagent, nagent, nagent, nagent, nagent.